This post, Chocolate Coconut Marshmallow Treats, is sponsored on behalf of Campfire® Marshmallows as a part of our ongoing partnership. Thank you for supporting the brands that I love and that make Jelly Toast possible. Chocolate Coconut Marshmallow Treats. Does the flavor combination sound familiar? 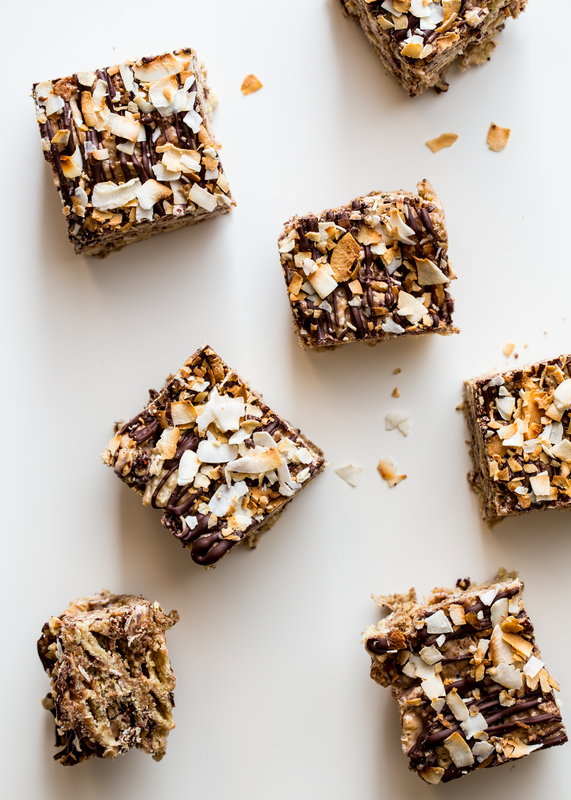 On Wednesday I shared my Chocolate Coconut Granola recipe and believe it or not, a bit of that tasty granola made it’s way into these dense and chewy cereal treats. 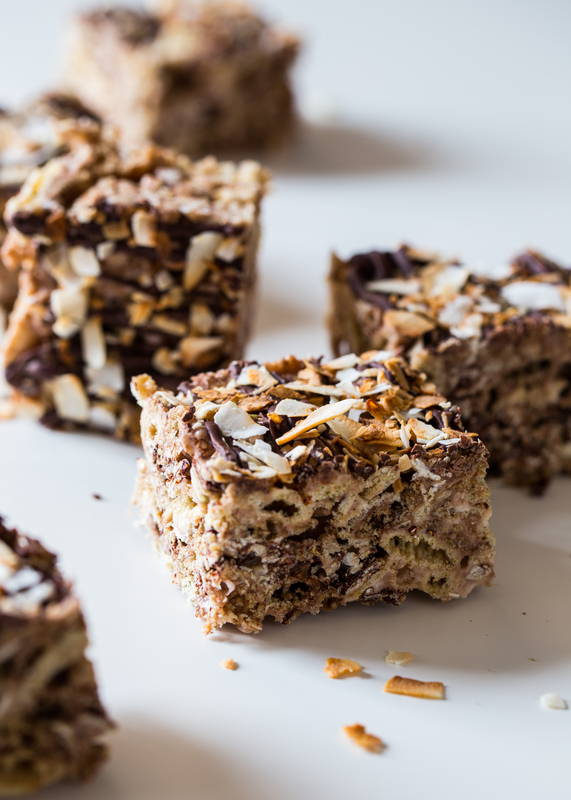 I am all about chocolate and coconut! I’m still coming off of a post-holiday baking hiatus and have been focusing on no-bake treats and simple desserts. 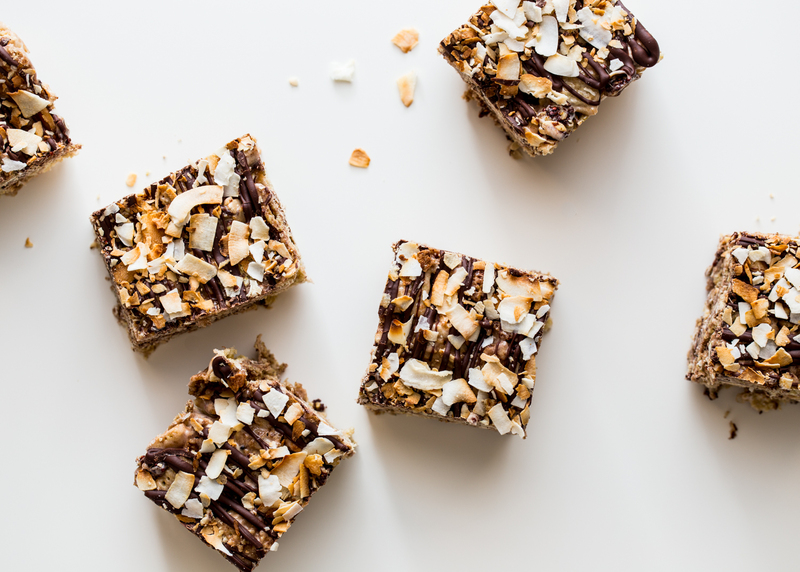 When I think no-bake a few things come to mind, but topping that list is always, always marshmallow cereal treats. These particular marshmallow treats are something truly special. 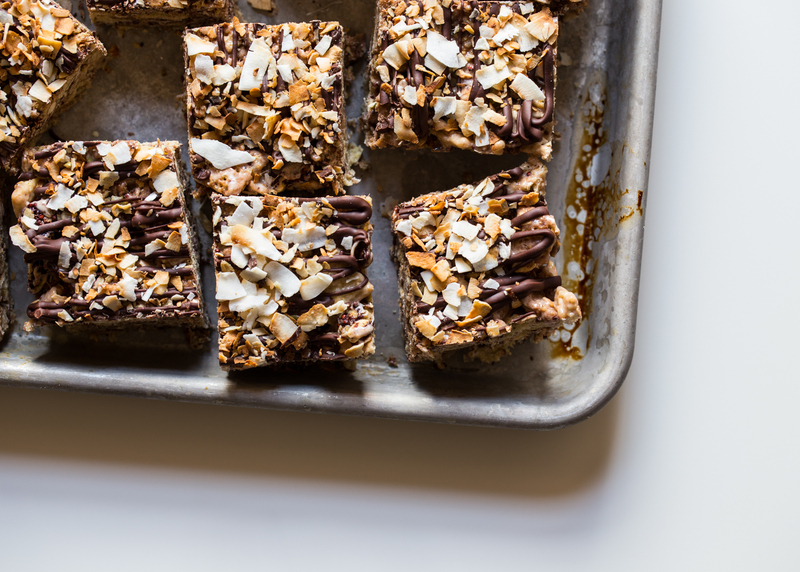 Made with chocolate Chex, chocolate coconut granola, and of course, a generous amount of Campfire® Mini Marshmallows, they’re chocolatey and chewy and finished with a drizzle of melted chocolate and toasted flakes of coconut. They also disappeared in about the same amount of time that it took to make them, which is saying minutes. You need to make these this weekend! 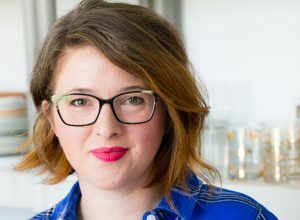 Jamie (My Baking Addiction) and I are teaming up with Campfire® Marshmallows in 2016 to share with you our very favorite marshmallow recipes. This year we have so many delicious and fun ideas to share. Visit our Marshmallow Madness Pinterest page for more recipe and adorable winter craft ideas! 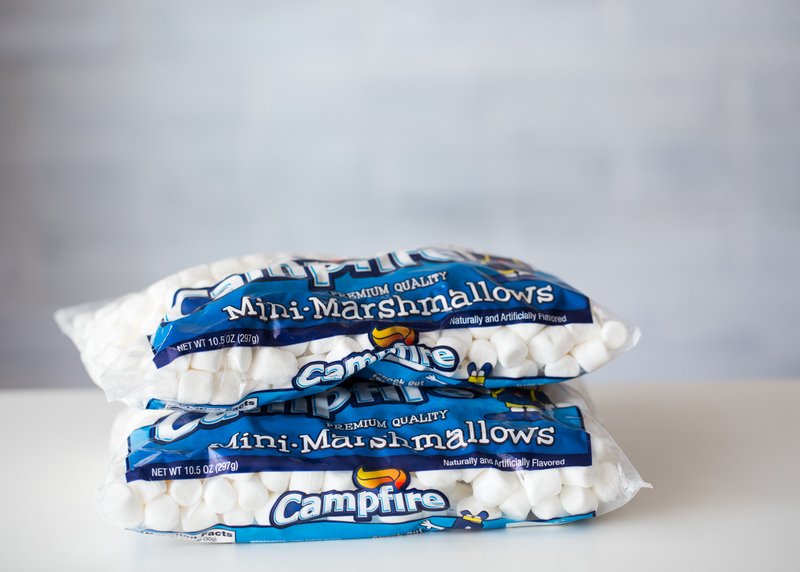 For even more recipe and marshmallow inspiration, visit Campfire® on Facebook, Pinterest, and Instagram. Lightly grease a 9x13 inch baking dish. Set aside. In a large pot, melt butter over medium heat. Add marshmallows and stir until completely melted. Remove pan from heat. 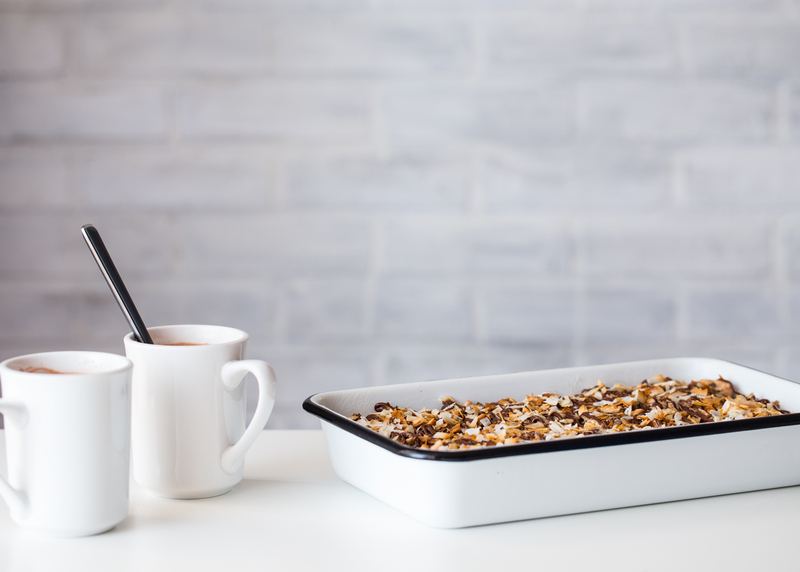 Stir in cereal and granola. Press mixture into prepared baking dish, creating an even top layer. 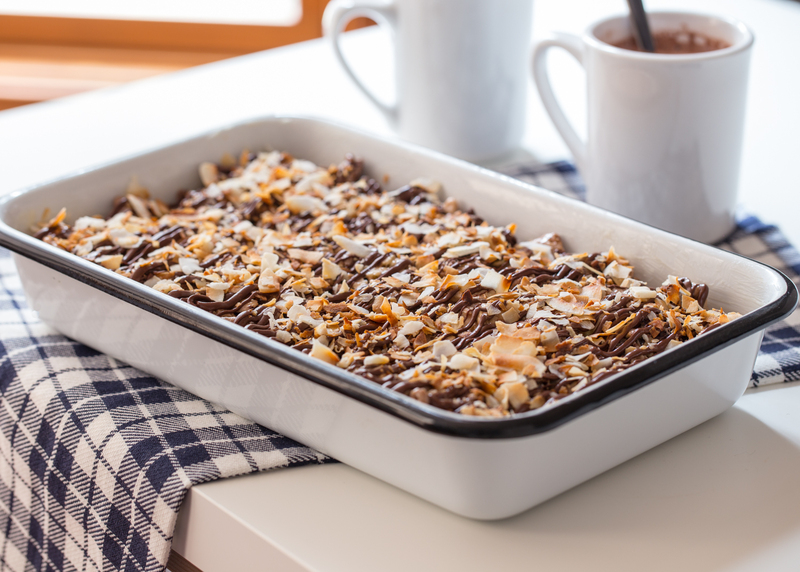 Drizzle with melted chocolate and toasted coconut. Let set at room temperate until firm. Cut and serve. I’m with you on the chocolate coconut combination. . .it’s like a match made in heaven. right?! IT’s the best! Thanks for stopping by, Lynn! MMmm these granola bars look so yummy! I love how they look so thick and chewy! And I also loooooove no-bake treats, its awesome when it takes such little time to make something so gooooood. No bake is the best ever! Thanks for stopping by, Linda! This is a very good recipie. Must try. Thank you.